In France, see Beaune’s Hotel-Dieu Charity Hospital, and sail to the Chardonnay wine region of Mcon, with cheese tasting on board. 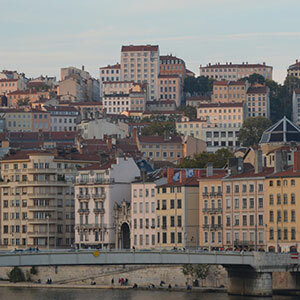 Explore Lyon, France’s gastronomic capital, and enjoy a guided culinary walk. Nestled amid vineyards are the twin cities of Tournon and Tain l’Hermitage. Take a guided walk through the Roman ruins in Tournon. 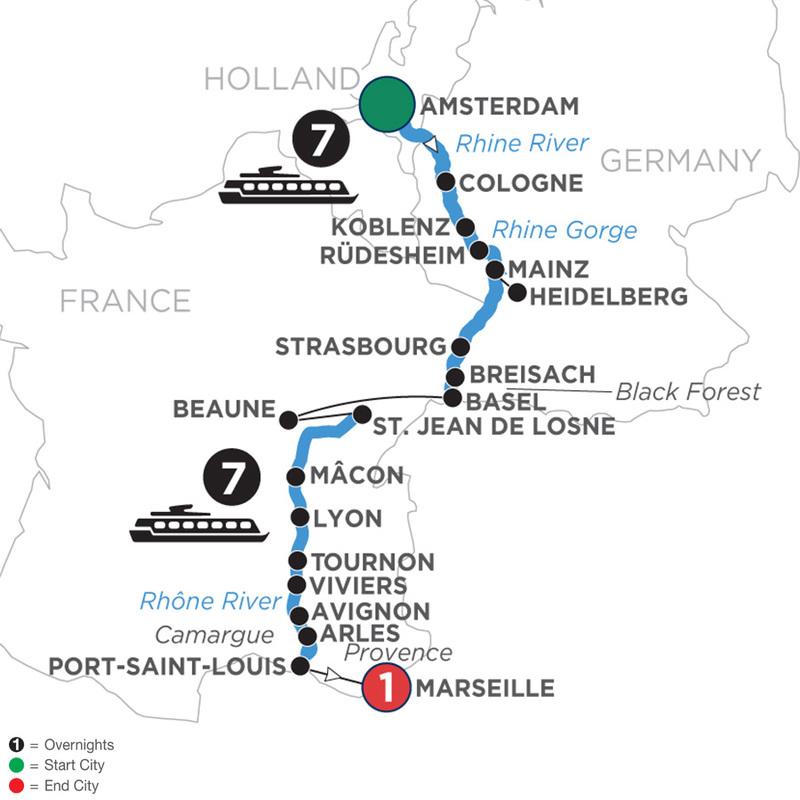 Visit charming Viviers, historical Avignon, and Arles on the Rhône River. Join a painting workshop a la Van Gogh whose work was inspired here. Your French river cruise concludes in Port-Saint-Louis.